We recently introduced a new automated payment system to upgrade from our existing manual system for FeedWind Pro subscribers. Previously we accepted PayPal as a payment method. However, our new payment system does not accept PayPal payments, so for those existing users who are due for renewal we will require payment for the renewal by credit or debit card. We understand that this change in payment options might be an inconvenience for PayPal subscribers, so for those users we are offering a discount of $39 when you renew using a credit/debit payment using the new automated system. 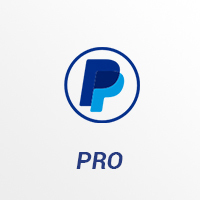 So how do I upgrade my PayPal Pro account to the new system? All you have to do is visit our payments page and enter you payment details (credit/debit card). We will not charge your card immediately. We will only charge the card on the renewal/expiry date. To compensate you for the inconvenience we will apply the $39 discount at that time. If you decide to cancel before your renewal is due then just let us know and we will prevent any further charges from being made. If you have any questions about this process or anything to do with FeedWind, then please do not hesitate to contact us. Previous Introducing Our New Plus Plan - Save More Widgets!